This is my first article on Steemit and I want to start with my favourite topic – food :). I’m gonna tell you about my beloved dish – ramen. Ramen is one of the most favourite Japanese comfort food and the popularity of ramen is going global. Japanese people of all ages and professional position loves ramen. 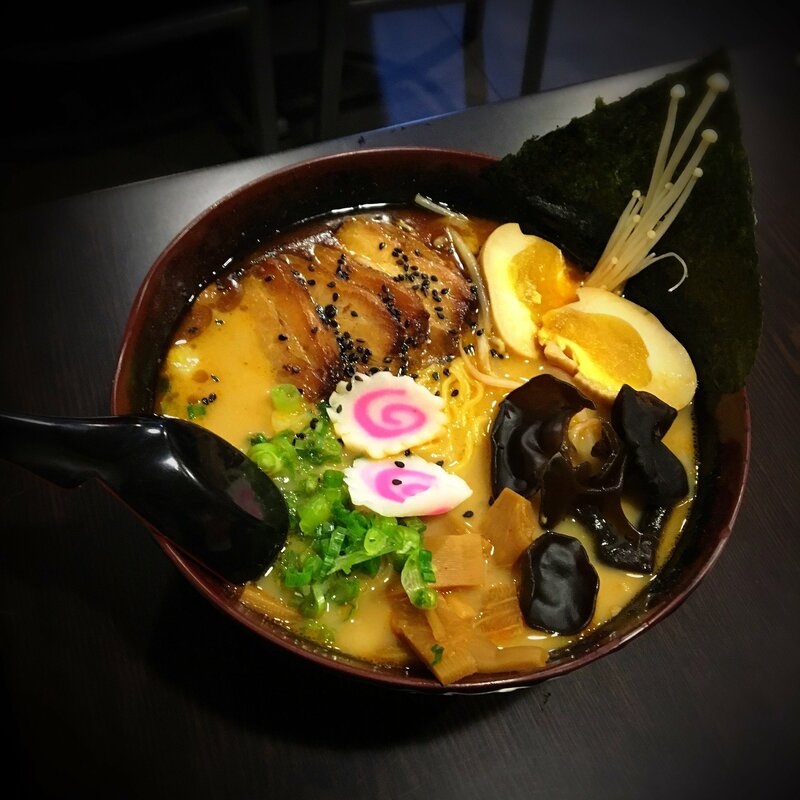 In the bowl of ramen you can find noodles, broth, toppings and happiness ;). You can create almost endless variations of ramen from this ingredients. 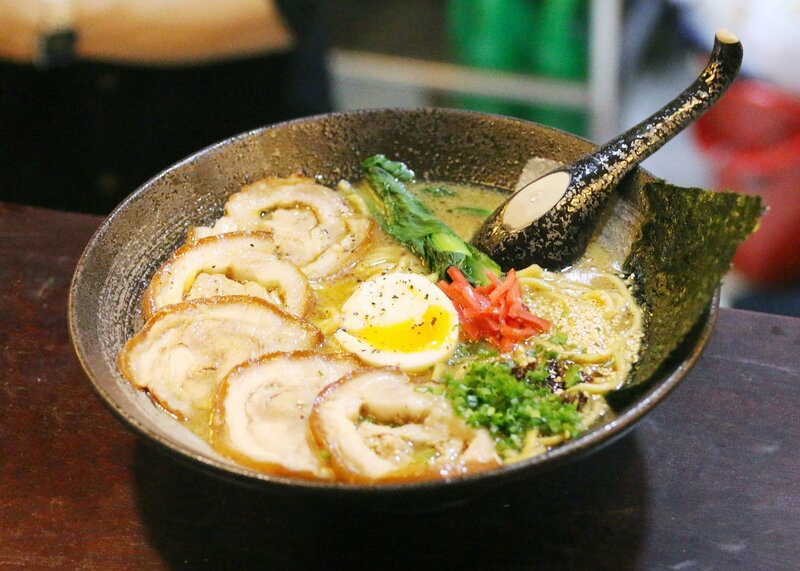 The flavour of the ramen is determined by the broth, which can be made from the different ingredients: pig bones, chicken bones, seafood and vegetables. Altough ramen preparation requires a lot of work and good quality ingredient, it is cheap fast food often eating during lunch break. Japanese people love ramen so much, they even created Ramen Museum in Yokohama. It’s the world first food-themed amusement park, where you can find a streetscape replication from the 1950s. During this journey in time, you can eat any type of ramen. There’s number of shops that serves ramen in its various regional varieties. It’s a good place to try them without having to travel all over Japan. There are thousands of ramen shops in Japan, and each one has its own unique recipe. Noodles can be curly or straight, thin or thick, the best one are freshly made, and every shop makes their own noodles. But the most important is broth, which often is simmered for 15 or 20 hours. 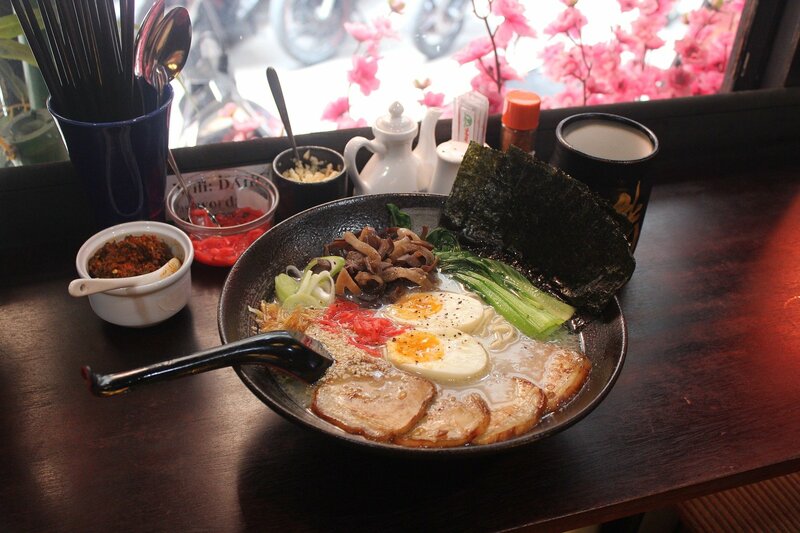 The most popular topping are slices of roast pork and boiled egg, but you can add a lot more to the bowl of ramen. Noodles absorb broth, but they aren’t soggy. They are juicy and chewy, that’s why ramen is sooo delicious. When you are eating a bowl of ramen it’s ok to slurp the noodles. It’s even necessary to do it, to fully enjoy ramen. So don’t worry and slurp! Miso ramen from Sapporo, tonkotsu ramen from Fukuoka, shoyu ramen based on soy sauce, and shio ramen (salt ramen). Tsukemen is something unique, noodles come separatly and you dip them in the broth before eating them. As you can see, there are so many kinds of ramen, each one tastes different, so you should try them all to find out which one is your favourite!